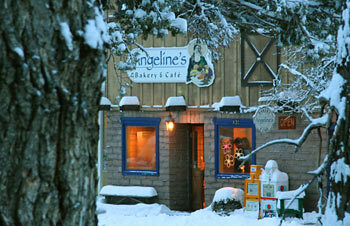 A few years ago we stopped at this cute little place in the small town of Sisters, OR….Angeline’s Bakery and Cafe. We were with family on our way to Salem and decided to grab a snack. Everything looked AMAZING, but there were very few options for a gluten-free vegan. In all honesty, we just chalked it up to another typical bakery and it wasn’t until a few weeks ago that I went back. I was extremely impressed! The majority of their menu is vegan with gluten-free and raw options. They have everything from soups, salads, and wraps to a wide selection of sweets….such as muffins, coffee cakes, cookies and more! Yesterday we were on our way to stock up on spring water and stopped in for a bite to eat. I had a delicious raw kale almond salad (they offer 4 different raw salads) and a hemp chai latte. That’s another thing that I love about Angeline’s…they don’t just offer soymilk (I eliminated soy from my diet eight months ago), they also give you the option of rice milk, almond milk, and hemp…my personal favorite. Many of their dessert selections are sweetened with agave nectar rather than sugar – another plus side to this little stop. 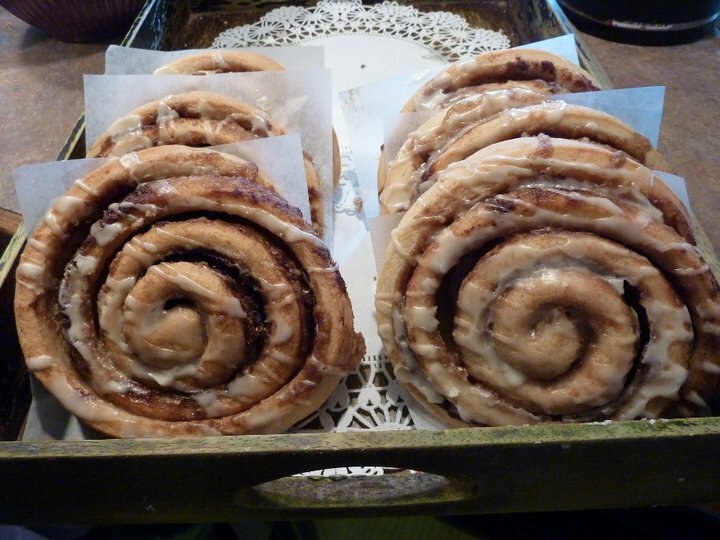 The staff is genuinely friendly and accommodating…they only add to the cozy feel. Like most of the places I’ve been to in Central Oregon, Angeline’s also supports local – the dishes they use, which are beautiful, are from Canyon Creek Pottery (a company in Sisters). This is a great place to enjoy a cup of tea, take in the smell of fresh-baked goodies, and admire the local art on the walls. So if you ever find yourself in Sisters, OR…I highly recommend stopping in! In the summer they have live music….looking forward to that!